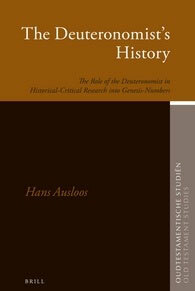 In The Deuteronomist’s History, Hans Ausloos provides for the first time a detailed status quaestionis concerning the relationship between the books Genesis–Numbers and the so-called Deuteronom(ist)ic literature. After a presentation of the origins of the 18th and 19th century hypothesis of a Deuteronom(ist)ic redaction, specific attention is paid to the argumentation used during the last century. Particular interest also is paid to the concept of the proto-Deuteronomist and the mostly tentative approaches of the Deuteronom(ist)ic ‘redaction’ of the Pentateuch during the last decades. The book concludes with a critical review and preview of the Deuteronom(ist)ic problem. Each phase in the Deuteronomist’s history is illustrated on the basis of the epilogue of the Book of the Covenant (Exod. 23:20-33).